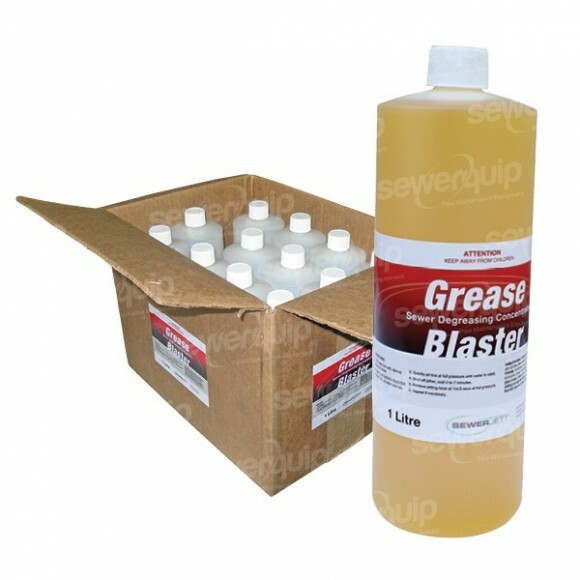 Grease Blaster is designed to be used in conjunction with your water jetter. It liquefies grease and fat, leaving grease lines clean & free flowing. For best results, use a Rootax or Reverse Turbine Nozzle.